It starts right here on Belmont Avenue! Tickets are now on sale for the national tour of A Bronx Tale in Boston. Directed by two-time Oscar winner Robert De Niro and four-time Tony Award winner Jerry Zaks, the touring production of the popular Broadway musical will open on April 2 at the Boston Opera House and run through April 14, 2019. Based on Oscar nominee Chazz Palminteri's one-man show that inspired the now classic film, this streetwise musical takes audiences to the stoops of the Bronx in the 1960s—where a young man is caught between the father he loves and the mob boss he’d love to be. Featuring an original doo-wop score, this is a tale about respect, loyalty, love, and above all else: family. 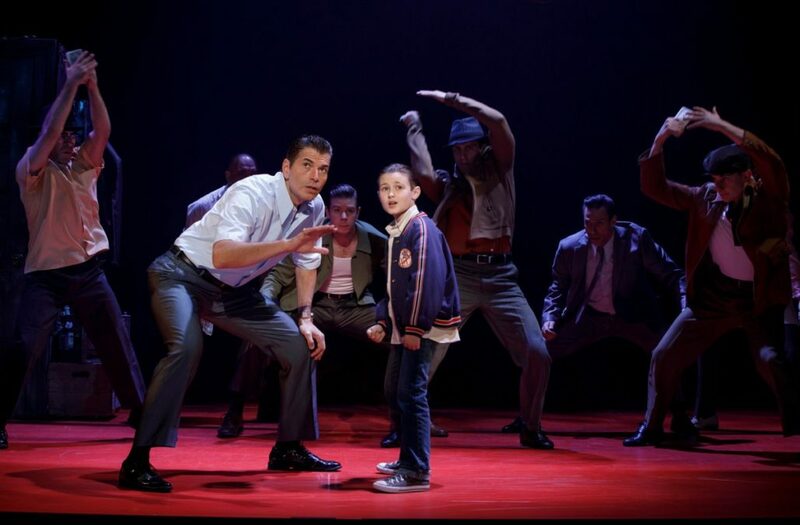 The touring cast of A Bronx Tale includes Joe Barbara as Sonny, Richard H. Blake as Lorenzo, Joey Barreiro as Calogero, Michelle Aravena as Rosina, Brianna Marie Bell as Jane, Antonio Beverly as Tyrone, Frankie Leoni as Young Calogero and Shane Pry as Young Calogero Alternate. Featuring music by Oscar, Grammy and Tony Award winner Alan Menken, lyrics by Grammy winner and Oscar and Tony Award nominee Glenn Slater and choreography by Tony Award nominee Sergio Trujillo, A Bronx Tale opened on Broadway at the Longacre Theatre in December 1 2016. The show ended its Broadway run in August 2018 as the second longest-running show in the history of the Longacre Theatre.